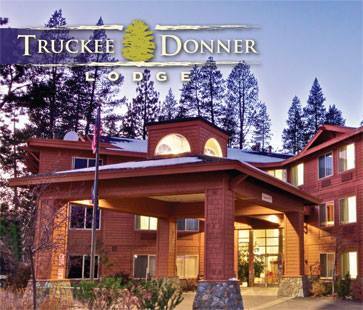 Truckee Donner Lodge (formerly Holiday Inn Express) is the host hotel for the Truckee Home & Building Show. This newer facility is conveniently located just 2 miles west of the high school, in a picturesque spot near Donner State Park, Donner Museum and Donner Lake. Lodging includes a nice continental breakfast, all day coffee/hot chocolate service and fresh baked chocolate chip cookies in the afternoon. Amenities include Jacuzzi, swimming pool, computer with Internet service in the lobby and wireless Internet throughout the hotel. Ask for the Home Show discounted rate. Call for reservations (530) 582-9999.